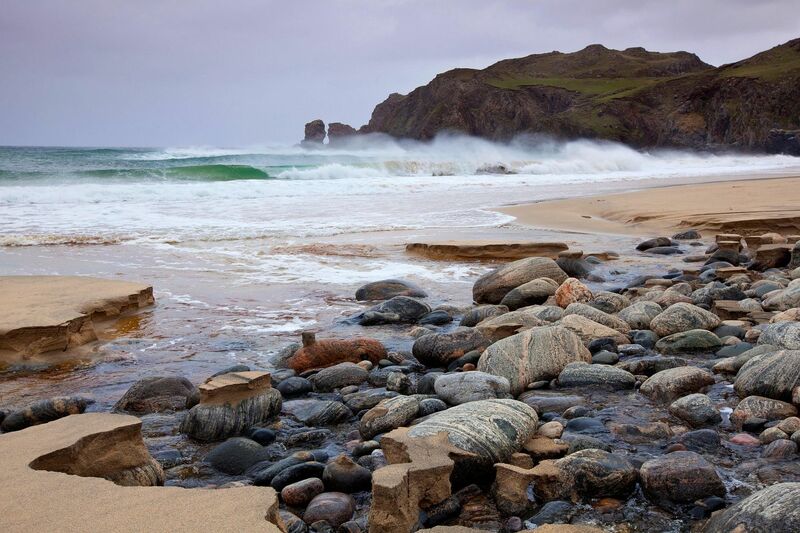 Dal Mor or Dalmor Beach on the Isle of Lewis is a secluded beach which has beautiful white sands that stretch 200 metres across the bay. There can be quite a strong current and surfers are told to beware. I suspect that apart from a few days in Summer, they would also run the risk of freezing to death.